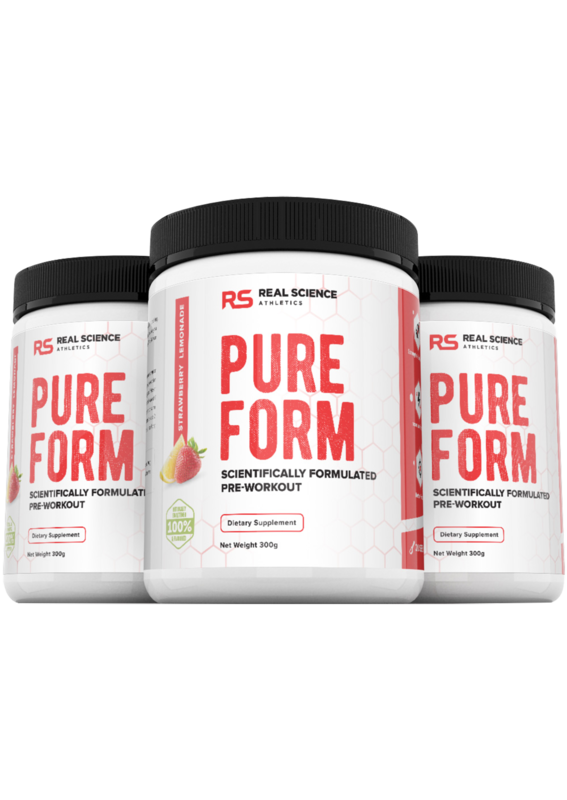 PureForm provides a clean, simple, high quality blend of 4 research proven ingredients in their proper clinical dosages to maximize muscular strength, energy and mental focus during workouts. 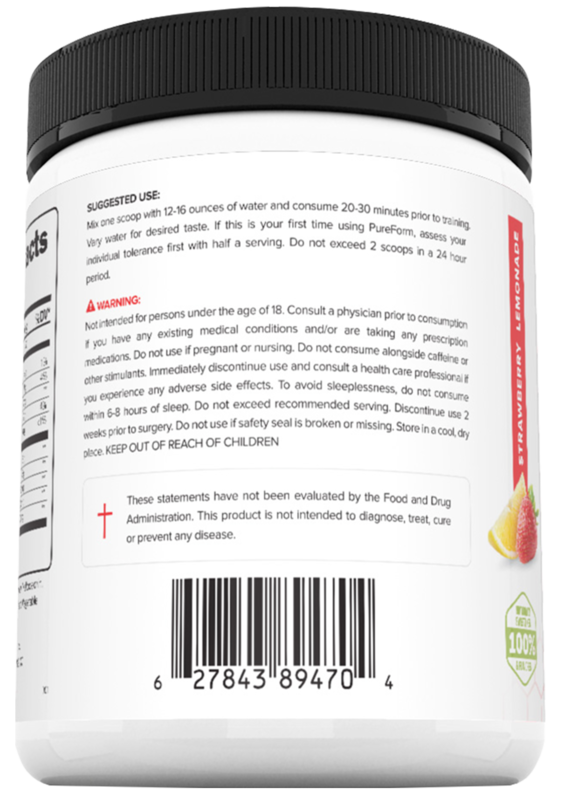 No proprietary blends, hidden fillers, heavy stimulants or artificial sweeteners/flavors. 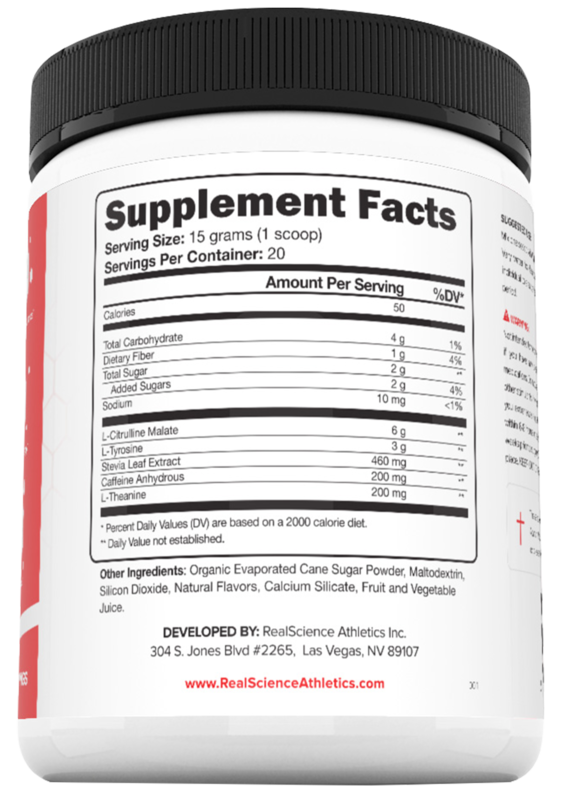 Just the core pre-workout ingredients that truly work, and in the right amounts. Period.